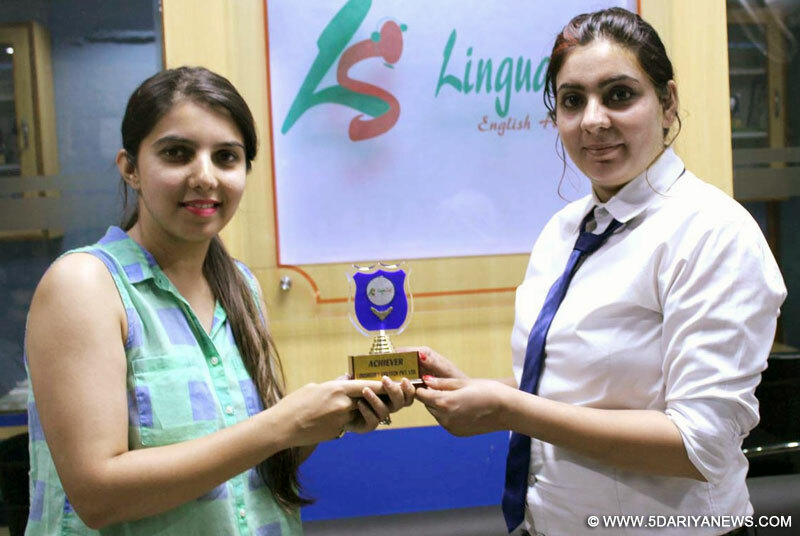 The students of LinguaSoft EduTech have scored great results in PTE in the last month. Avneet Kaur from Bathinda took coaching of PTE from LinguaSoft EduTech and scored 86 out of 90 in PTE. Avneet Kaur has scored 90 out of 90 in Reading and Writing in her first attempt. PTE is Pearson Test of English which checks all skills of English from Reading, Writing, Listening and Speaking in online test. It is software based test conducted in labs. LinguaSoft has labs for PTE training to provide students real life experience. The trainers of LinguaSoft are certified from Pearson Group and know the correct method of teaching and scoring. Putting light on the training methodology of LinguaSoft, Gurvinder Singh Kang, CEO of LinguaSoft told that they have certified trainers who have got training from the Pearson Academic and are acquainted with the right evaluation methods and exam strategies. Later, Avneet Kaur was honoured trophy on this achievement to encourage other students.According to him numerous students dream of pursuing their higher education abroad. In order to make this dream come true, students need to score good well in IELTS, PTE or TOEFL. Scoring good marks in all these examinations has become challenge for the students aiming to study abroad. With the right method of learning and hard work students can excel with good score.